Many of the outstanding qualities that distinguish the UW-Eau Claire degree would not be possible without the generous support of donors like you. Gifts from alumni and friends carry on the tradition of excellence on our campus and enhance the college experience for every Blugold student. There are many ways to make a gift in support of UW-Eau Claire. Select the option below that best fits your financial goals. A quick, easy, and environmentally-friendly way to make an instant impact. Click below to go right to our secure donation page. To donate by an electronic funds transfer, fill out an EFT authorization form, print it out, and mail it in with a voided check. If you are age 70½ or older, you can give up to $100,000 from your IRA directly to the UW-Eau Claire Foundation without having to pay income taxes. The law permitting this IRA rollover no longer has an expiration date, so you are free to use this giving option annually well into the future. If you are interested in giving to the UW-Eau Claire Foundation through an IRA rollover, or if you have any questions, please contact Mark Helmke at 715-590-4023 or helmkemd@uwec.edu. Get a matching gift form from your HR department. Complete the form and send it along with your donation to the UW-Eau Claire Foundation. The Foundation validates that the gift has been received and meets the appropriate guidelines. The Foundation then returns the form to your company. Your company verifies your eligibility and the eligibility of the UW-Eau Claire Foundation, and then sends a check to the Foundation. Please contact Angela Miller for more information about matching gifts. You may also call her at 715-836-4045. It’s up to you. You choose how much, how often, and preferred payment method. Gifts of securities, stocks and bonds are a great way to support people and programs at UW-Eau Claire. The Telefund program is an essential part of the UW-Eau Claire Foundation's annual fundraising program. Current students dedicate evening hours to contacting alumni and friends to build relationships and raise funds to support UW-Eau Claire. These gifts help us to provide scholarships, research opportunities, fellowships, study abroad programs and other valuable educational opportunities for students. 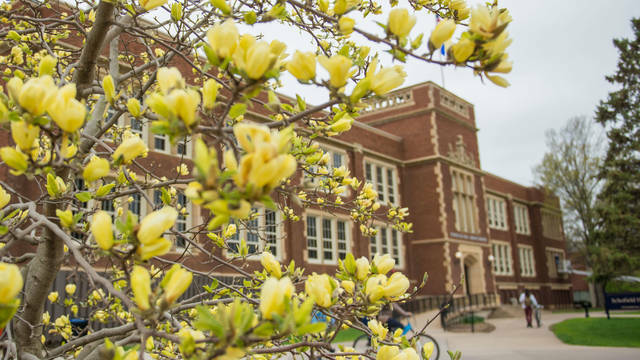 Telefund callers request updated contact information, provide updates on the great things happening on campus and answer any questions alumni and friends may have. Calls are placed on Sunday-Thursday evenings year-round. Please take their call and pledge to renew your annual support or consider making your first gift to UW-Eau Claire. 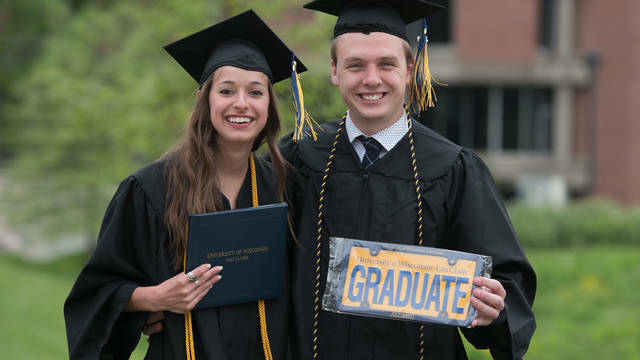 Your connection with current students is inspiring and your gifts enrich the value of a degree from UW-Eau Claire — now and for the next generation of Blugolds. UW-Eau Claire employees benefit from another great perk. Just complete the short form to give back to a place that gives you so much. You’ve worked hard for what you have, and have accomplished success that can likely be traced back to roots at UW-Eau Claire. Now it’s time to think ahead towards investing in things you care most about. By creating endowed funds, donors committed to the university’s mission of excellence in learning and service can support their own values and university needs. Memorialize or honor someone special or leave a legacy that bears your name on part of campus. 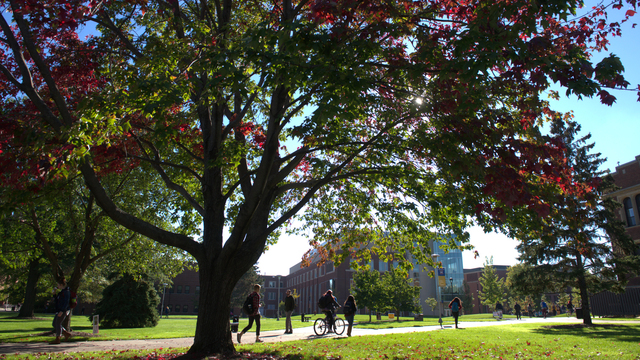 Naming opportunities are available for people and places at UW-Eau Claire that benefit students for generations.